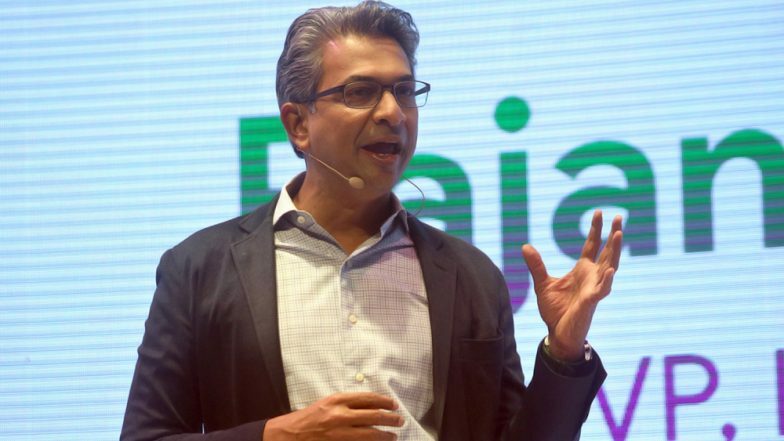 New Delhi, April 2: After an eight-year stint, Rajan Anandan, the Vice President of Google India and South East Asia, quit the tech giant to join Sequoia Capital India as a managing director. Anandan will stay until the end of this month i.e. April 2019. Reports inform that Anandan has largely been responsible for driving growth at Google India. Until the company finds a new managing director, Vikas Agnihotri, who is currently serving as Google's country director for sales, will take on the interim responsibility. Reports inform that Google's Asia Pacific president Scott Beaumont will take over the role while Agnihotri will fill in as interim chief. From Google India. Google for India 2018: Key Highlights Include Modified AI For Regional Languages, Rebranded Google Tez And Project Navlekha. "We are grateful to Rajan for his huge contribution to Google over the past eight years. His entrepreneurial zeal and leadership has helped grow the overall internet ecosystem in India and Southeast Asia, and we wish him all the best in his new adventures” said Scott Beaumont, President, Google Asia Pacific in a statement. Anandan is very active angel investor, and a member of the Indian Angel Network. Anandan, is a Sri Lankan by origin. He was previously the Managing Director of Microsoft India till August 2010. Before joining Microsoft India, he was the Vice President and Country General Manager at Dell India.